You can go back quite a few years and read stories about how supplement companies were asking for fake reviews on websites like Bodybuilding.com. Bodybuilding.com took swift action and made sure the brands they do business with understand this is not an acceptable practice and will not be tolerated. So, brands got smarter with how they go about getting people to post fake supplement reviews. Brands quickly made changes to how they asked consumers to write reviews. Unfortunately, before all of this came to light, many people were leaving fake supplement reviews without ever even trying the products themselves. Websites changed this by putting “verified buyer” next to the person doing the review which was supposed to make the review more credible (following their actual transaction on their website). However, even that became laughable at best. The workaround that brands came to find was that in order to get the “verified buyer” tag next to a reviewer’s name, they would need to purchase the product from the website. What happened next may open your eyes to some extremely deceptive practices within the industry. Certain brands would contact consumers and tell them to purchase their product from a certain website and wait for the product to ship. Once they received notification that their order (product) shipped, that would provide them the “verified buyer” tag when the would go to review the product. Therefore, once they got the shipping notification, the brand instructed the consumers to write their fake supplement reviews. What did they get in return? Their money back plus free product. What does all of this mean? It’s very simple and quite shady. A supplement company would tell a consumer that if they provided fake supplement reviews on a certain website, that once the product shipped, they would reimburse the consumer for the full amount paid for the product and then they, the brand, would ship an addition tub or bottle of the product to them from their warehouse for the consumers time and work putting up the fake reviews. As you would imagine, this didn’t go over too well with consumers when the news broke. 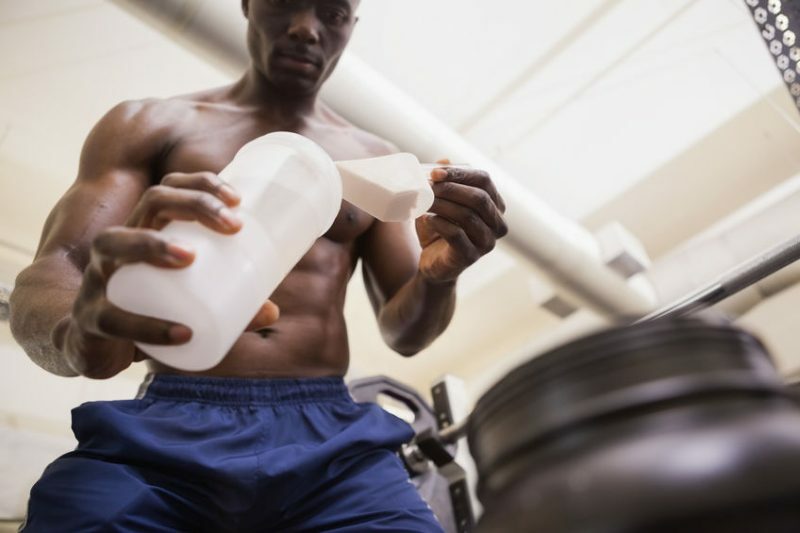 Some brands even went as far as in their athletes’ contracts, they mentioned about providing fake supplement reviews and even told them they would be instructed exactly what they should say in the fake supplement reviews. It was absolutely mind-blowing when these contracts surfaced on forums. It’s sad to say but believe no one these days. I hate the fact that I’m saying that but you need to take reviews of any product(s) with a grain of salt. You never know who instructed them to provide the review. Did they do it on their own? Did they get paid to give the review? Who should you believe? Who shouldn’t you believe? It was a guessing game and still is today. Personally, I don’t trust any reviews out there. If a product looks good, I’ll give it a try. I base my initial interest off of the profile of the product, not the hype or reviews. If it looks to have a good profile, I’ll buy it and give it a try. I can’t tell you how many times I’ve read reviews years ago and purchased a product based off of what people said in the reviews and was completely disappointed with the product. In fact, there were some products that people said were awesome and the best thing since sliced bread and after taking it, I was pooping my brains out. Clearly, these were fake supplement reviews where consumers were paid or compensated in one way or another for their review. I even gave some of the product to friends to try and they had the same experience. I wanted to rule out that it was “just me” having these effects. I’m not telling you this to discourage you and push you away from trying supplements. There are tons of amazing brands out there who have their morals and ethics in check. They outweigh the scumbags of the industry but you need to be aware that you can’t believe everything you read. If I were you, I would learn all you can about supplements, ingredients, and the research behind them and make your own decision. With fake supplement reviews still being posted today, you just never know. Do your homework and make the decision based off of your findings, not what someone else has said. Heck, even if the review was truthful and they said it was good, not everyone responds the same way to every product. What works for me might not work for you and vice versa. Much of what’s on the market today is trial and error. You simply need to see what works for you and provides you with the most benefits. Previous Previous post: Alq Gurley – Could A Comeback Ever Happen? Next Next post: Dana Linn Bailey – Fitness World Unites Behind You!